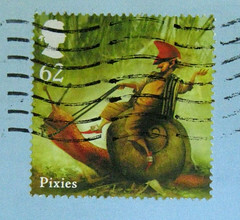 I sent this Postcrossing postcard to Italy a while back... it took a really long time to arrive and get registered, and nearly expired. But it made it, so here's some more Shag (aka Josh Agle) artwork. This is from the Shag Postcard book made by Chronicle Books. 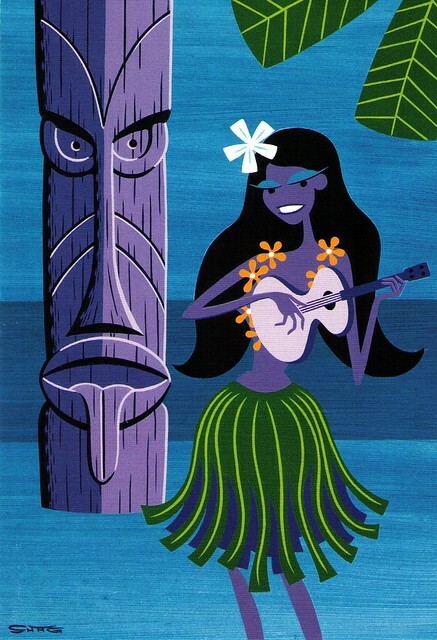 Love the retro Tiki look! What a great card! I love the colors! I hope that you are fine and happy. You have nice postcards and great writing too. I am a collector from Pakistan. I collect stamps, FDCs, postcards, phonecards, coins and bank notes. At present I am working on a UNESCO Postcards Project to collect postcards of all UNESCO World Heritage Sites from around the globe. Can you help me in this regard?? Or anyone else???? I would also love to exchange blog links if possible. You can add mine and leave me a comment on my blog.